IPL 2018 DD vs SRH live streaming will be provided by official broadcasters on their web and app portals as usual. 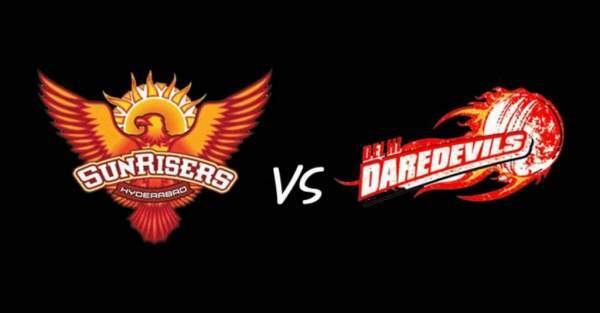 Delhi Dardevils vs Sunrisers Hyderabad is the 42nd of 60 games to be played in the Indian Premier League season 11. You can watch live cricket match today online on Hotstar, Jio, Star Sports, and AirTel. It’s a home game for DD and will be played at Feroz Shah Kotla Stadium located in New Delhi. As per the schedule and time, the IPL t20 match of DD v SRH will start at 8 pm IST while the toss will take place at 7:30 pm IST. The 30-minute time gap is given in every game to get the match going on the ground. You can catch the live updates via telecast on Star Sports 1 / HD and Star Sports Select 1 / HD in English commentary. If you have access to the television and want to receive commentary in Hindi language, then your channels are Star Sports 1 Hindi / HD. You don’t need to worry if you don’t have the luxury to TV. Here we have solution for that too. You can opt for IPL free online live stream options. The following app portals will provide you the real time live ball by ball updates – Hotstar app, AirTel TV app, and Jio TV app. They are available for both Android and iOS platforms. Another way to stream the IPL season 11 live is by going direcly to the Hotstar.com website. It’s an official partner but may charge you a nominal fee, though. As of before this match, the IPL 2018 points table tells an extreme story. Both the teams have played 10 matches so far, but Daredevils and Sunrisers are place at extreme ends. On one hand, Hyderabad is leading the table while Delhi is lagging behind and at the last. SRH has collected 46 points by winning 8 matches and losing just 2. On the other hand, DD has lost 7 and won just 3 and thus collected only 6 points so far in this tournament. The fate of Delhi Daredevils has become unclear as just a few matches are left until the playoffs. Sunrisers Hyderabad are boasting of their capabilities and performance. The team is on a 5-match winning streak and will look forward to extending it. The Kane Williamson-led side has no issues as it will get to playoffs for sure.